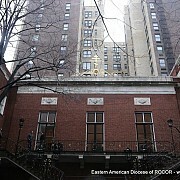 On Sunday March 27, the Fourth Sunday of Great Lent, the commemoration of St. John of the Ladder, the Administrator of the Patriarchal Parishes in the USA, His Grace Bishop John of Naro-Fominsk led the Divine Liturgy in St. Nicholas Cathedral in New York City. 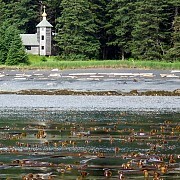 With the Blessing of the Administrator of the Patriarchal Parishes in the USA, His Grace Bishop John of Naro-Fominsk, a pilgrimage to the relics of St. Herman of Alaska as well as other Holy sites in the state is being organized to coincide with the annual celebration of the feast of St. Herman in August. 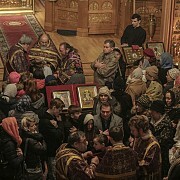 On Tuesday evening, March 14, the myrrh-streaming Icon of the Mother of God "Softener of Evil Hearts" while traveling throughout the eastern United States visited Sts. 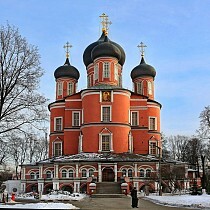 Peter and Paul Cathedral in Passaic, New Jersey. On Sunday March 12, the Second Sunday of Great Lent, the commemoration of St. Gregory of Palamas, the Administrator of the Patriarchal Parishes in the USA, His Grace Bishop John of Naro-Fominsk led the Divine Liturgy in St. Nicholas Cathedral in New York City. On Sunday March 5, the first Sunday of Great Lent - the Triumph of Orthodoxy, His Eminence Archbishop Demetrios of America led the Divine Liturgy and Rite of the Triumph of Orthodoxy in Holy Trinity Archdiocesan Cathedral in New York City. 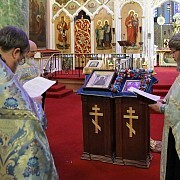 On the First Sunday of Great Lent, the Triumph of Orthodoxy, the clergy of the Eastern States Deanery celebrated Sunday evening Vespers in St. John the Baptist Church in Little Falls, NJ. Upon its conclusion, the clergy gathered for a meeting to discuss pastoral and administrative issues facing the parishes.